Lawrence & Associates > Blog > Personal Injury > When Can an Ohio Police Officer Be Held Liable for Hurting Someone in a Car Accident? When Can an Ohio Police Officer Be Held Liable for Hurting Someone in a Car Accident? The Ohio Supreme Court held that when police officers are performing their duty, they can be held civilly liable for damages to a 3rd party if their conduct is “wanton or reckless” in nature. By adopting this standard, the court rejected the no-proximate cause test applied in several lower courts throughout Ohio. The no-proximate cause test required officers to act in an “extreme or outrageous” manner to be held civilly liable for damages. Legally, the different standard is significant. Recklessness is legally defined as a conscious disregard of a known risk, whereas extreme and outrageous is legally defined as grievous and grossly offensive to an average person. By adopting the lower standard, the Ohio Supreme Court has made it easier to hold law enforcement accountable for damages, because the plaintiff, the one bringing a suit, only has to prove a police officer’s conduct disregarded a known risk rather than acted grossly offensive to an average person within the circumstances. However, despite the lower standard, the Ohio Supreme Court held the police officers in the current case did not act recklessly and were entitled to qualified immunity. The facts and reasoning of the case are as follows. What Caused Ohio’s Supreme Court to Decide Whether Cops Could Be Liable for Injuring Others? After committing a robbery, Andrew Barnhart was involved in a high-speed chase with 5 officers from the Miami Township Police Department and the Montgomery County Sheriff’s Department. During the chase, Mr. Barnhart’s vehicle collided head-on with Pamela Argabrite. The accident killed Mr. Barnhart, but caused series injury to Ms. Argabrite. Following the accident, Ms. Argabrite brought suit against the 5 officers claiming their negligence in the chase led to the head-on collision and her injuries. The Ohio appellate courts faced two questions. First, were the police officers entitled to qualified immunity, therefore, could not be sued for actions that occurred in performance of their duties? Second, if the officers did not have qualified immunity, were the officers the proximate cause, casually linked, of the accident? Public officials, including police officers, are immune from civil liability unless their actions, or failure to act, were with a “malicious purpose, in bad faith, or in a wanton or reckless manner.” The Ohio Supreme Court found that when the lower courts applied the no-proximate cause test they had used a higher standard of “extreme and outrageous” to evaluate the officer’s conduct. Therefore, the Ohio Supreme Court reviewed the case material de nova, as if for the first time, applying the lower standard to the police officers behavior. In reviewing the facts, the Ohio Supreme Court found the police officers had broken protocol and procedure in pursuing the high-speed chase. However, breeching departmental procedures were not conclusive evidence to establish the officers acted in a wanton or reckless manner. Instead, it was necessary to demonstrate the officers had acted with a “malicious purpose, in bad faith, or in a wanton or reckless manner” during the high-speed chase. Every officer was found to have behaved reasonably in performing his or her duties during the high-speed chase. In determining if breeching departmental procedure was reckless, the court noted police officers, unlike other public officials, are required to act and perform their duties in violent and dangerously situations. Additionally, the court noted that under Ohio law police officers have a unique statutory duty that requires them to arrest and detain criminal suspects. Failure to comply with the statute can result in police officers facing criminal charges. Although for different reasons, the Ohio Supreme Court affirmed the appellate courts ruling. This case was decided as a matter of law, meaning the evidence was never presented to a jury. Agreeing in judgment only, Justice Lanzinger argued the inquiry into the level of the public officials actions was futile, because the court only needed to determine if the public official’s actions were above “mere negligence.” If a public official’s actions were beyond negligence, more than carless, then sovereign immunity does not apply. In this case, Justice Lanzinger agrees that the officer’s conduct and failure to follow protocol was merely negligent. Justice Kennedy concurred in judgment only, because she felt that the no-proximate cause test should have been applied and was not inconsistent with the qualified immunity standard. Justice Kennedy reasoned that the Ohio General Assembly amended the qualified immunity statute several times, and in doing so lower courts began to apply the no-proximate cause test. Since the application of the no-proximate cause test, the General Assembly has taken no action to correct or change the law. Therefore, the court should leave any changes to the legislature and the no-proximate cause standard should govern police officers conduct in pursuit, but all other civil liability for police officers would be governed by the qualified immunity standard. In his dissenting opinion, Justice Pfiefer argued that there were enough facts to allow the case to be heard before a jury. Justice Pfiefer, suggested that there were other ways the police officers could have brought Mr. Barnhart to justice without engaging in a high-speed chase, therefore, whether the police officers had acted recklessly should have been a decision for a jury. Justice O’Neill agreed with the court in their application of the law, that officers’ are immune from liability unless they “act maliciously, in bad faith, or in a wanton or reckless manner.” However, Justice O’Neill disagrees with the courts decision as an issue of law and believes the case should have been tried before a jury. The Ohio Supreme Court’s ruling makes it easier for the average individual to recover if injured by a police officer performing their duties. Lower courts will now provide relief for plaintiffs who are able to prove a police officer’s conduct “disregarded a known risk,” rather than having to prove the officer’s conduct was “extreme and outrageous.” However, by the Court granting immunity in this case, the Court is signally a police officer will need to disregard a specific known risk, for example, if an officer does X it may result in injury Y, not merely a general risk, such as not following protocol may injury someone. The difference between the two scenarios can be very fact specific, and it may be best to consult an attorney to determine if your injury will meet Ohio’s new standard. Have you been injured in a car wreck in Ohio? Even if it is a result of a police chase, you may still have a right to recover for your injuries. 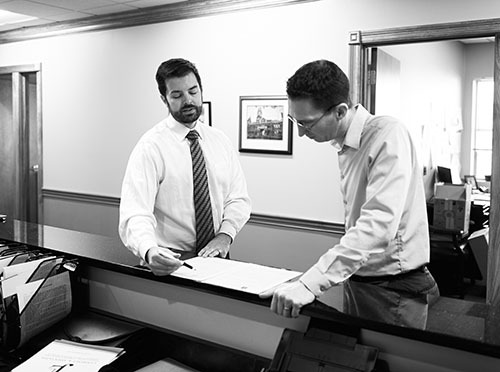 Give Lawrence & Associates a call and speak to one of our attorneys for a free consultation. We are Working Hard for the Working Class, and we want to help you!